Agrippina the Younger was the daughter of Germanicus Julius Caesar and of Vipsania Agrippina (Agrippina the Elder). Germanicus' father was a son of Augustus' wife Livia by a former husband. His mother was Antonia Minor, daughter of Mark Antony and Octavia, Augustus' sister. Germanicus had thus a double connection with the first family of Rome, and he drew closer to its center in AD 4 when his uncle, who would become the emperor Tiberius, was adopted by Augustus, and adopted him in turn. In this way Germanicus became a Julian and by the law of adoption a legitimate grandson of the ruling dynast. Agrippina's mother, Agrippina the Elder, was a daughter of Julia, Augustus' natural daughter and only child, and of Marcus Agrippa, Augustus' valued helper in his climb to the top. An anecdote about this child furnishes an example of the motif central to Agrippina's reputation. Her brother Gaius had succeeded Tiberius to the principate earlier that year, and it is reported that she asked him to name the infant, hoping perhaps that the still childless emperor would name him after himself and perhaps adopt him in time. If he were Gaius' heir, hers would be the prize of motherhood. Instead, Gaius looked at his uncle, who, although he would be the emperor Claudius soon enough, was at that time a laughing-stock in the court, and he suggested his name as a joke. [] This anecdote may have come into existence only after Nero became emperor and Agrippina was indeed the emperor's mother (mater principis). It nonetheless illustrates clearly the popular perception that her ambition was of long duration. Domitius Ahenobarbus died in the winter of AD 40-41 while Agrippina was probably still in exile[] Gaius was assassinated in January of 41, and after his death the sisters returned to Rome. [] Although her property that had been confiscated by Gaius was restored to her on her return, much of it may have been dissipated, and she looked quickly for protection and wealth. She set her sights on the prominent Ser. Sulpicius Galba, who would become emperor after the Julio-Claudian line came to an end, but this first effort was unsuccessful. [] She soon married the wealthy and witty C. Sallustius Crispus Passienus, consul in 27 and again in 44, He had formerly been the husband of a sister of Domitius Ahenobarbus and so was her brother-in-law. Passienus died before 47 and it was rumored that Agrippina had poisoned him. [] His wealth provided a motive, but his death also left her free to make her next move, a move that would finally bring her close to the principate. Claudius (Tiberius Claudius Nero) became emperor in AD 41 after the death of Gaius. He was the brother of Agrippina's father Germanicus and so her uncle. During the first part of his reign, Claudius' wife was Valeria Messalina, who, like Domitius Ahenobarbus, was descended from Antonia Maior. The two had a daughter, Octavia, and then a son, Britannicus, who was born a few weeks after Claudius became emperor. In the autumn of 48 Messalina divorced Claudius unilaterally and married C. Silius, consul-designate for the following year. By this action she transferred her Julian credentials to a party who she thought would be able to protect her interests after Claudius died, an event that might be expected before very long. [] The move is reminiscent of the one that Agrippina and Livilla had made a decade earlier when they transferred their support from Gaius to Lepidus in the hope of grabbing on to a rising star. But it may also have included a preemptive strike against Agrippina, who was plausibly maneuvering to replace Messalina as imperial wife and make her own son the preferred heir. [] Messalina did not succeed; Claudius learned of the attempted coup, and she lost her life. Nero was eleven years old and still named L. Domitius Ahenobarbus at this point. He was quickly betrothed to Octavia, the daughter of Claudius and Messalina, and it was assumed that Agrippina had set in motion this plan that would bind the families more closely. [] The next year (AD 50) Claudius adopted the boy, and he became Nero Claudius Caesar. []. Britannicus, Claudius' natural son, now stood in second place; Nero had become the older son. Agrippina was thought to have manipulated her husband so that he adopted Nero just as she had arranged his marriage with Octavia, since it moved her son to the head of the line for succession. But the adoption was helpful to Claudius as well. 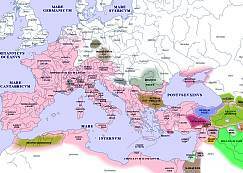 A son who would reach his majority a few years before Britannicus provided more proximate protection. It is often difficult to gain a clear understanding of the personalities of the ancient world, for the portraits of them painted in the ancient texts are derived from layers of time-specific prejudice. When Nero was emperor and it was necessary that he be viewed favorably, Agrippina was described as a negative influence. When his reputation plummeted after his death and the Flavians rehabilitated Claudius' capital, she was held responsible for Claudius' inadequacies. The constant theme, however, is the perception that she was a very ambitious woman. The anecdote in which she asks Gaius to choose a name for her newborn son, retrojected on to the narrative as it probably was, makes this point as clearly as any, for it indicates that ambition was the driving force of her entire adult life. The message resurfaces in the accusations of her partnering with Aemilius Lepidus, her poisoning of Passienus Crispus, her seduction of Claudius and the manipulation of him in regard to the adoption of Nero and especially her poisoning him at the opportune moment. The factual truth of all of these allegations must remain uncertain, but she was a woman who had both the means to make a place for herself in the high-stakes Julio-Claudian world and seemingly the will to exercise her options. In the end she was overwhelmed by the weight of her competitive family. Barrett Caligula: The Corruption of Power. Yale University Press (New Haven and London) 1990. Champlin, E. Nero. Harvard University Press (Cambridge, MA, and London) 2003. Eck, W. Agrippina, die Stadtgründerin Kölns: Eine Frau in der frühkaiserzeitlichen Politik. (Cologne) 1993. Ehrhardt, C. "Messalina and the Succession to Claudius".Antichthon 12 (1978) 51-71. Griffin, M. T. Nero: the End of a Dynasty. Yale University Press (New Haven and London) 1985. Humphrey, J. "The Three Daughters of Agrippina Maior".AJAH 4 (1979) 125-43. Hurley, D. W. "The Politics of Agrippina the Younger's Birthplace. AJAH n.s. 2 (2003) 95-117. Levick, B. Claudius. Yale University Press (New Haven and London) 1990. Meise, E. Untersuchungen zur Geschichte der julish- claudischen Dynastie. Vestigia 10. (Munich) 1969. Mommsen, T. "Die Familie des Germanicus". Hermes 13 (1878) 245-65. Syme, R. Tacitus Oxford University Press (Oxford) 1958. [] Tac. Ann. 4.53. Her Memoirs are also noted by Pliny (NH 7.46). [] Other branches of the family could also claim descent, direct or indirect, from Augustus, but none was so favored as the family of Germanicus. Agrippina the Elder had a sister Julia (Julia the Younger), whose grandchildren (the Junii Silani) would be potential rivals under Claudius and Nero. Their credentials were somewhat tarnished, however, by the fact that Julia herself had fallen from grace under Augustus. There were also those descended from Octavia and from her daughter Antonia Maior (an older sister of Antonia Minor); these included the father of Nero and both mother and father of Claudius' wife Messalina. Another line passed through the natural son of Tiberius. [] The year (not the date) and the place of her birth are uncertain because of contradictory evidence. Tacitus writes that she was born at oppidum Ubiorum (modern Cologne, Ann.12.27), but the birth may have taken place near the present city of Koblenz. See Mommsen, Humphrey, Barrett,Agrippina (Appendix 2), and Hurley for the arguments. [] Tac. Ann. 2.4. The children advertised the strength of the dynasty for the generations that would follow. [] Tac. Ann. 2.53, 3.1-2; Suet. Cal.10.1. [] Suet. Cal. 15.3, 24.1; Dio 59.3.3-4, 7.4, 9.2. [] Suet. Cal. 24.1, 3; Dio 59.3.6, 11.1, 22.6, 26.5; Jos. AJ 19.204. [] Suet. Cal. 29.1, Cl. 9.1; Tac. Ann. 14.2; Dio 59.6, 22.8. [] Suet. Ner. 5.2, 6.3; Barrett, Agrippina, p. 70. [] Suet. Cal. 59; Dio 60.4.1. []. The date of Passienus' death is derived from the fact that there is no notice of it in Tacitus'Annals when the text resumes in AD 47 after ten missing years (Barrett, Agrippina, p. 85; Syme p. 328, n. 12). The allegation of poisoning (Suet.Life of Passienus) may have been appended to the story only after Agrippina's reputation had suffered under Nero and it was assumed that she had poisoned Claudius. Why not an earlier husband as well? [] Tac. Ann.11.26-38; Suet. Cl. 26.3; Dio 60.31.3-5. [] Tac. Ann. 11.11-12; Suet. Ner. 6.4; Meise, pp. 166-69. [] Tac. Ann. 12.1-2, 25, 65; 13.2; 14.2, Dio 61.3.2. [] Tac. Ann. 12.3; Suet. Cl. 26.3, 39.2; Dio. 60.31.6. [] Tac. Ann. 12.5-8; Suet. Cl. 26.3; Dio 60.31.8. [] Tac. Ann. 12.3, 9; Suet. Cl. 27.2, Dio.60.31.8. They were married in AD 53 (Tac.Ann. [ Tac. Ann. 12.25-6; Suet. Cl. 27.2; Ner. 7.1; Dio 60.32.2, 33.2(2). [] Tac. Ann. 12.26, 27; Dio 60.33.2(a). [] Tac. Ann. 12.37, 42, 56; Dio 60.33.2(1), 33.3, 33.7; Pliny NH 33.63. [] Tac. Ann. 12. 64-7; Suet. Cl. 43-44; Dio 60.34.1-3. [] Tac. Ann. 12.68-69. Suet. Cl. 45. [] Tac Ann. 13.2; Suet. Ner. 9. [] Tac. Ann. 13.2, 5; Barrett, Agrippina, p. 152. [] Griffin, pp. 39-40; Barrett, Agrippina, p. 153. [] Tac. Ann. 13.5; Dio 61.3.3-4. [] Tac. Ann. 13.12-13; Dio 61.7.1-2). [] A temple for divus Claudius was begun but left unfinished until the time of Vespasian (Suet. Cl. 45, Ves. 9.1). The designation of Nero as "son of the god" appears less and less on his coinage and on inscriptions. But he had already begun to separate himself from his adoptive father in his first speech to the senate (Tac.Ann. 13.4). [] Tac. Ann.13.15-17; Suet. Ner. 33.2-3; Dio. 61.7.4. [] Tac. Ann. 13.14, 18-21, 24; Suet. Ner. 34.1; Dio 61.8.4- 6. [] Tac. Ann.14.1. The affair with Poppaea could not, however, really have been the reason for getting rid of Agrippina in 59. It was not until 62, three years later, that Octavia was sent away and marriage with Poppaea took place (Tac.Ann. 59-64; Suet. Ner. 35.1-2; Dio 62.13.1). [] By another report Nero initiated the seduction; this would have made him, not Agrippina, the desperate party (Tac. Ann.14.2; Suet. Ner. 28.2; Dio 61.11.3-4). [] Tac. Ann 14.3-8; Suet. Ner. 34.2-3; Dio 61.12.2-61.13. Dawson exposes the impossibilities of Tacitus' narrative.